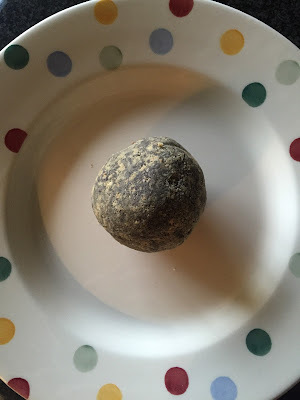 Before you read the title of this blog post and declare that I am completely mad and stop reading - I beg you to let me explain as I have in FACT found something SO incredible and delicious - you will want to thank me for writing this. 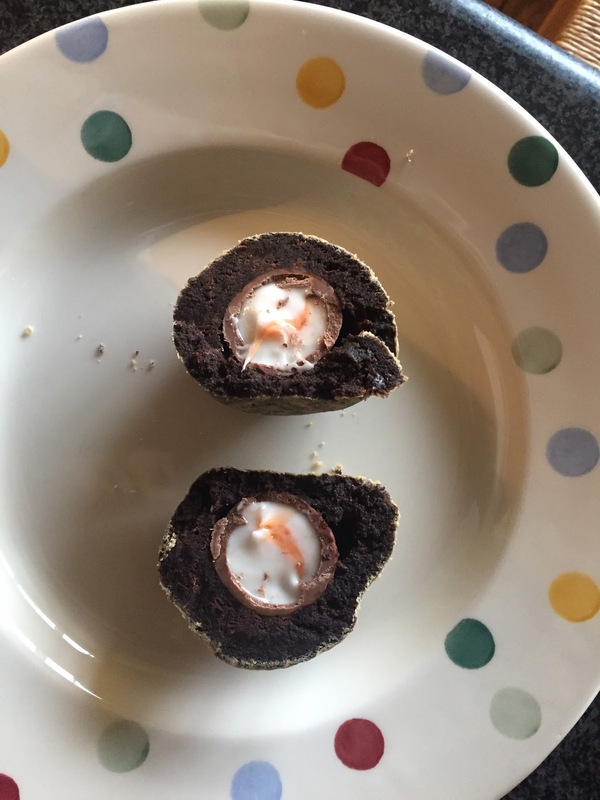 I recently wrote about the Creme Egg cafe. I have now found something else Creme Egg related which is very exciting. The Harrods food hall is the stuff of dreams (and tourists!). They have come up with something totally dreamy - a chocolate lovers delight. The Creme Egg scotch egg is an actual whole creme egg "wrapped" in a layer of gooey chocolate brownie and sprinkled with biscuit crumbs. I KNOW. I bought one of these on Friday and took it home with me. My whole family who are obsessed with creme eggs literally crowded round to see what would happen when I cut into it. The result was so beautiful and delicious. The whole thing was gone rather quickly and whilst it sounds disgusting - it really was rather good. At £3.95 it was not cheap but I guess you MIGHT not eat a whole one yourself so splitting the cost with a friend makes this treat more economical. The Creme Egg Scotch Egg can be found in the Harrods Food Hall until Easter.